My friend Sheila and I recently visiting Valentino restaurant at the Venetian. 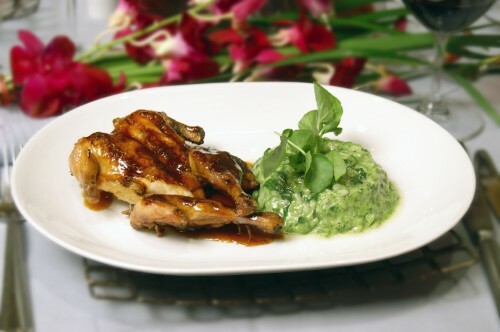 Valentino is the sister restaurant to the world-renowned Valentino located in Santa Monica. The stylish main dining room has warm wood paneled walls and vaulted ceilings with furnishings and artifacts from Italy including the terrazzo floor and Venetian glass found in the lighting decor. The menu is extensive, offering a seven-course Chef’s Extravaganza which is a good choice if you want a bit of everything on the menu, or you can order a la carte items. Choose from over 24,000 wines to go with your meal. 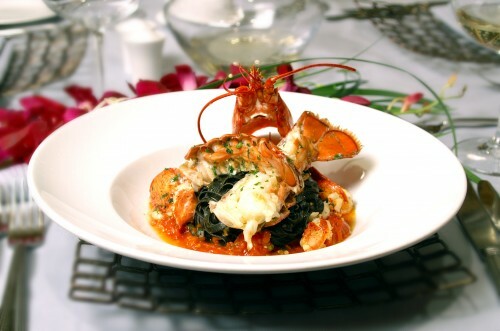 Here are some pics of the entrees, lobster with black pasta and brick pressed chicken with spinach risotto. We interviewed Chef Pellegrini before we started eating, the interview and a bit about his philosophy and background in cooking follow. James Beard Award-winning chef Luciano Pellegrini was born in Bergamo, Italy and began his culinary experience in his mother’s kitchen. At age 13, he enrolled at San Pellegrino, one of Italy’s most prestigious hotel schools. He spent his teenage years attending school and gaining experience at various restaurants throughout Italy. After graduation, Pellegrini was exposed to dining at its finest when working at Locanda dell’Angelo in Bergamo. At the age of 18, after completing his required one-year of military service as a parachutist, Pellegrini started his culinary career and gained valuable experience and working inside the kitchen’s of some of Italy’s top restaurants. In 1985, Pellegrini took what would be his career-changing step by moving to the United States to work with restaurateur Piero Selvaggio, who had achieved a solid reputation for bringing genuine Italian cuisine to California. By 1987, Pellegrini was quickly developing both his cooking and kitchen leadership skills as a pasta chef at Selvaggio’s restaurant, Primi. In 1991, Pellegrini was promoted to executive chef at Posto restaurant in the San Fernando Valley. Looking to take his culinary skills to the next level, Pellegrini returned to Italy, and while there learned the art of grilling on the “fogolar,” a traditional, flavorful way of cooking on a wood-burning open hearth. He also spent a great deal of time with Bruno Libralon, a renowned Italian Chef and head of the Italian Chef Association, who is often referred to as the “King of Fish.” Pellegrini also spent time with a local sausage expert in order to perfect the art of sausage-making, something very important in Italian cooking. During different stages in his travels, Pellegrini has worked with some of the most creative and respected Italian chefs in the world including Gianfranco Vissani, Fulvio Pierangelini, Paola DiMauro and Nadia Santini. Pellegrini returned to California to showcase his honed craft and it paid off as the James Beard Foundation listed him among the Top 10 chefs in Los Angeles. He maintained this position for six consecutive years. 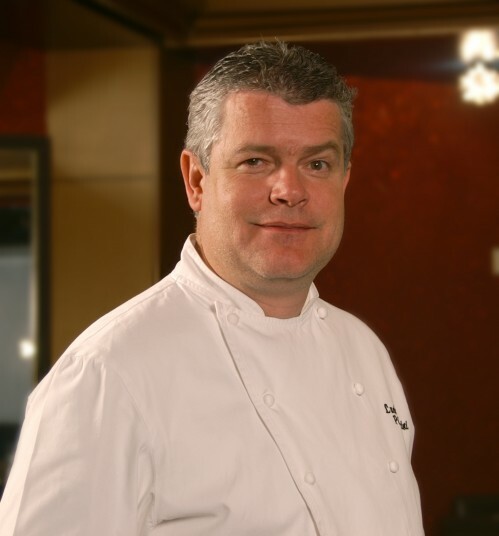 In May of 1999, Pellegrini moved to Las Vegas to become executive chef and partner of Valentino Las Vegas (Venetian Hotel & Casino), the sister restaurant to Selvaggio’s iconic Santa Monica location. Over the past decade, Pellegrini’s dedication and passion in the kitchen has solidified Valentino as one of the leading Italian restaurants in the southwest. 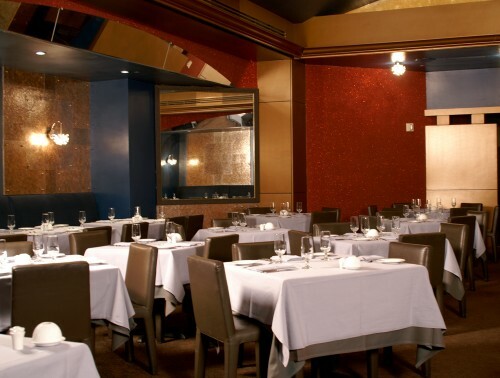 Valentino Las Vegas has received numerous awards including the esteemed DiRoNA (Distinguished Restaurants of North America) Award of Excellence, six Las Vegas Life Epicurean Awards for Best Italian Restaurant in Las Vegas and a 2007 Epicurean Award for the city’s best wine list. 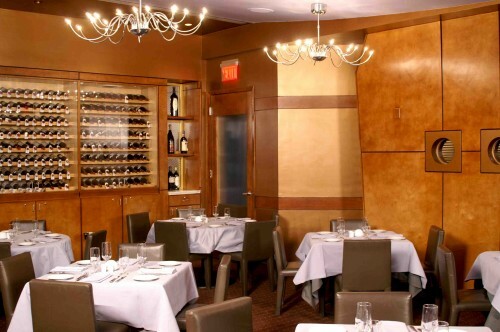 Valentino Las Vegas has also received the Grand Award from Wine Spectator annually since 2002. Pellegrini is also a partner at Giorgio Ristorante, a more casual restaurant concept located at Mandalay Place on the Las Vegas strip and PS Valentino Vin Bar inside Houston’s Hotel Derek.